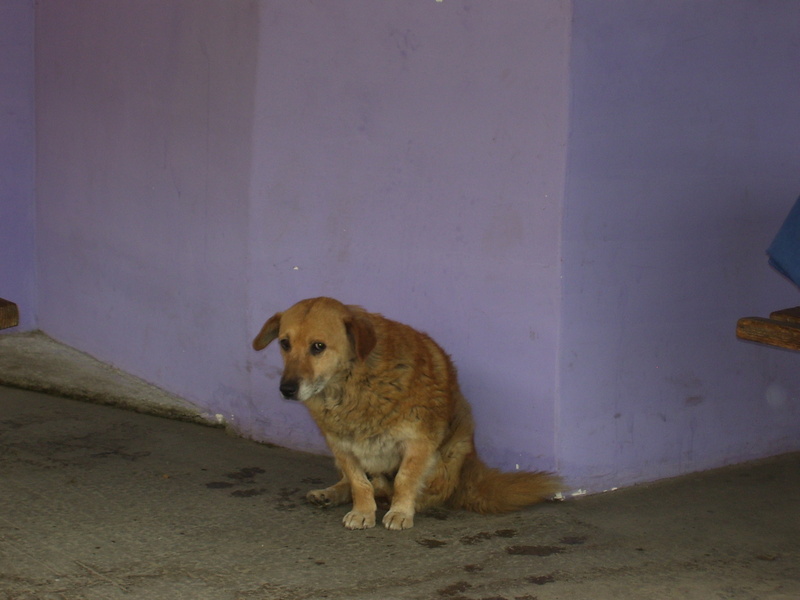 As a loving owner of a dog, it’s curious to see how dogs live in other places when they mostly have to fend for themselves and forage for food. I saw several dogs on this trip, and here are a few. Unpampered the way our organic-fed, groomed, spa-treated dogs are in the U.S., these mutts seemed like commune-living peace-loving hippies of the canine world. 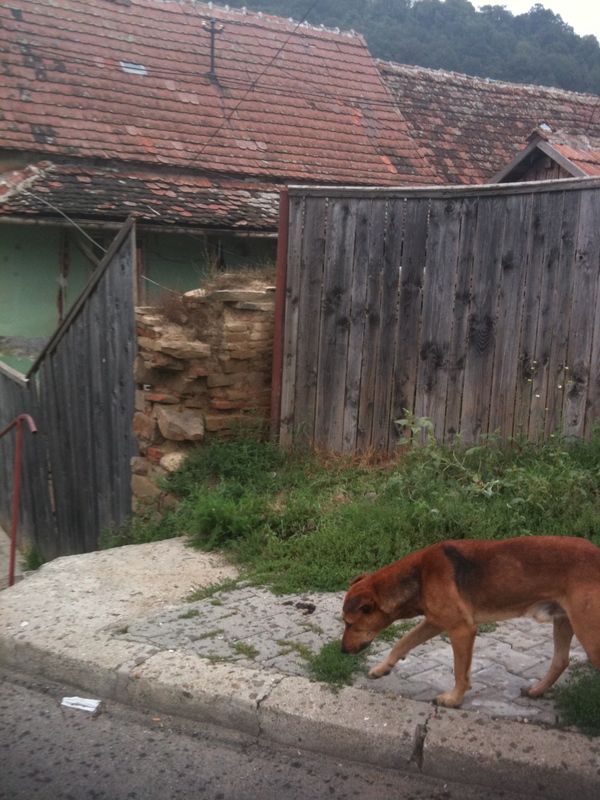 More likely to be considered pests than pets, these dogs wandered freely around the streets, mostly scavenging for food. When one from our group acquired a sweet treat to keep them away from some of those less-receptive tourists, a small pack formed around him and latched on ’til the group boarded the bus to leave. In Istanbul, another dog (not pictured) benefitted by hovering outside a butcher shop, when at the end of the day he was thrown a sizable chunk of raw beef to satisfy his carnivorous cravings. I can’t help wondering how my own spoiled 40-pound pet would fare were she to be transplanted to the streets of Braşov, or Sighişoara, or Istanbul. This entry was posted in Romania and tagged Eastern Europe, Romania, Sighisoara. Bookmark the permalink.